With a 40,000-person strong waiting list for season tickets, you would think Tim McDermott, CMO of the Philadelphia Eagles, could pull back a bit on his marketing activities. On the contrary, says McDermott, “we don’t want to be naïve and think that it can’t go away.” As a result, he and his 40-person team are busy, even in the off-season, doing everything within their power to grow the Eagles brand. The Eagles were named global Sport Team of the Year by Beyond Sport in 2011, and is ranked seventh among the 32 NFL teams by Forbes in terms of franchise value, so there is little doubt that Eagles brand is a strong one. How McDermott and his team tackle marketing regardless of the on-field performance reveals an eight-part playbook that should inspire marketers in just about any field. 1. Listen up and create a customer advisory board. 2. Go long by developing your next generation of customers now. Few brands think long-term when it comes to developing their customer base. Since 2004, the Eagles have targeted kids in various ways, including a TV show, a website, and a club that McDermott says is “the largest kids’ club membership of any sports team in the United States.” Acknowledging that these activities are more brand-building than revenue-generating, McDermott has his eye on “future fans” and the promise they represent. 3. Fans first: Think of your brand as a public trust. 4. Tune in by dedicating expert resources to social media. 5. Do good (and stick with it). 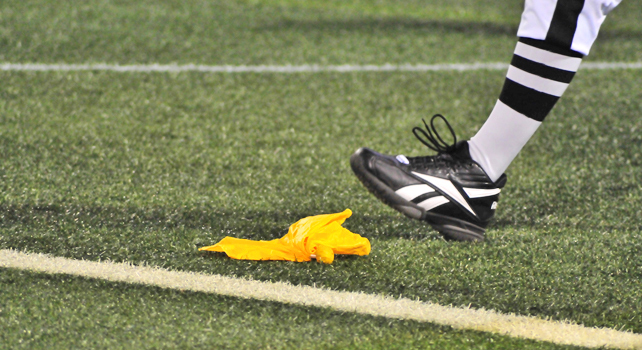 Only dabbling with social responsibility programs is like calling a time-out after every play. On the other hand, since launching its Tackling Breast Cancer campaign back in 2004, the Eagles have shown the long-term commitment it takes to truly benefit the cause and the brand. After selling 32,000 pink hats in its first year, the Eagles have gone on to raise nearly $2 million over the last eight years in donations for breast cancer awareness. 6. Think big about the business you are in. 7. Think broad about your marketing department. Unlike many marketing departments, McDermott’s doesn’t stop with the folks who create and monitor communications. Calling this approach “myopic,” McDermott prefers to look at marketing in its broadest sense, which is why his brand-building bunch also includes a TV production group and the merchandising staff who sell Eagles gear online and off. 8. Look ahead–set aside some time and resources for experimentation. With budgets always tight, it’s harder than ever to test new approaches. McDermott sees experimentation as essential, especially in the digital world. “I’m fascinated by some of the augmented reality concepts,” notes McDermott, who is excited to see how these concepts can scale and recognizes that the PR alone could make them worthwhile. McDermott imagines A/R could bring “tickets to life” or drive a virtual store that pops up during tailgating parties at the stadium. Final Note: The Eagles finished with an 8-8 record and without a Super Bowl ring in the 2011-2012 season, leaving their notoriously passionate fans underwhelmed and McDermott eager for a fruitful draft, which by all reports they achieved. As such, expect more excitement from the Eagles next season, and in the meantime, please visit TheDrewBlog.com for my extensive interview with their super CMO.